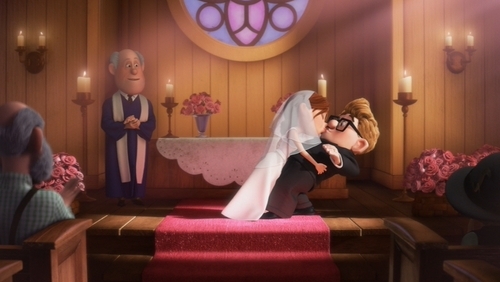 Carl and Ellie. . HD Wallpaper and background images in the Disney club tagged: disney carl ellie up wedding movies animated. This Disney photo might contain salas, salas, salas, front room, parlor, parlor, and silid guhitan.